Find what are your key strengths and pain points with scientifically designed employee engagement surveys. 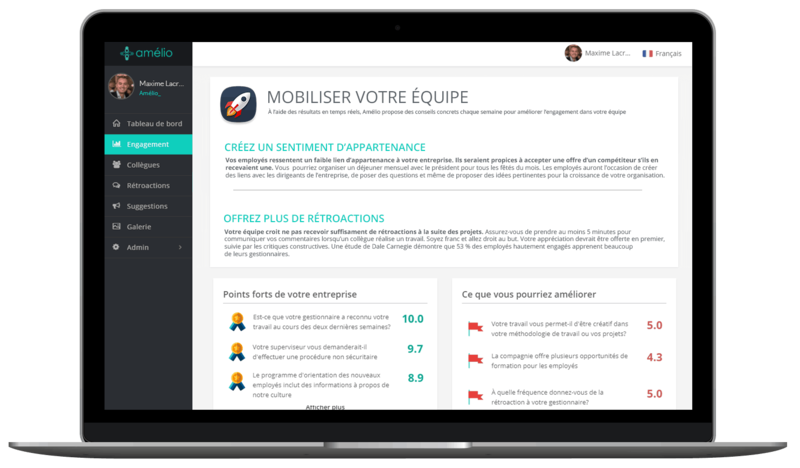 Amélio will help to create an inspiring corporate culture and reduce staff turnover in your organization through anonymous pulse surveys. 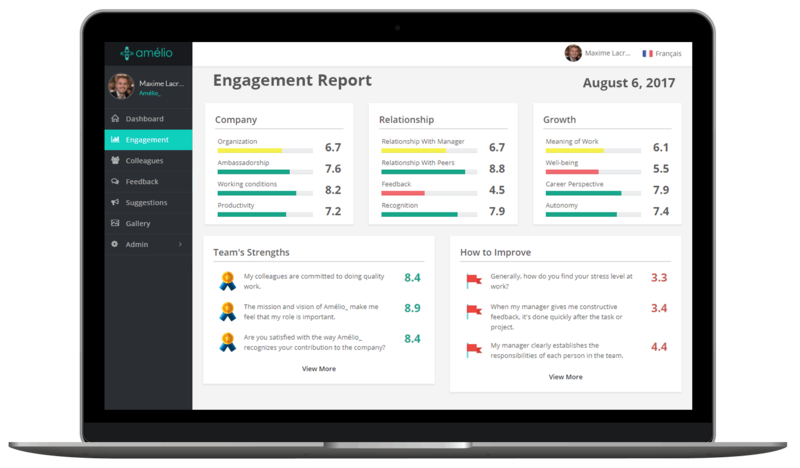 Amélio’s algorithm sends automated insights to each manager to create a greater workplace based on the results of his team. Real-time engagement reports focus on how to motivate employees and increase productivity. Work efforts being sincerely appreciated by colleagues and the management provide an exceptional feeling. Peer recognition motivates employees to perform better. Amélio’s social network facilitates interdepartmental collaboration and offers visibility to managers for efforts that go too often unnoticed. 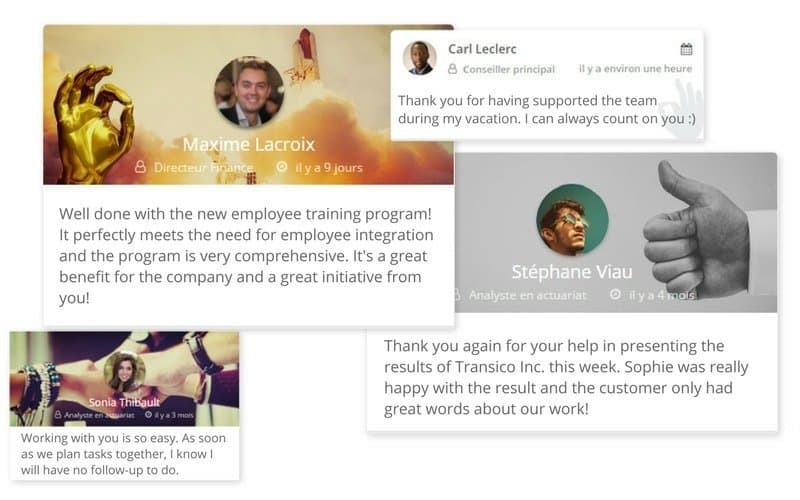 Drive employee career development through mentoring and staff training. Continuous feedback, 360 evaluations and structured questionnaires enrich one-on-one meetings with the manager to maximize the benefits of performance appraisals. Disengaged employees are 16% less profitable than those satisfied with their jobs. Amélio helps create a stimulating and productive work environment. Capture motivations and irritants of employees to understand how to attract top talent. Peer recognition increases employee engagement, facilitates interdepartmental collaboration and improves productivity. Amélio relies on mentoring one-on-ones, aided by 360 evaluations and continuous feedback, to accelerate career development. The best ideas are propelled up to the management through social platform of suggestions, anonymous or not. Good times within the company are shared through a creative gallery. Allocate the right resources and plan the workload better with project schedule.